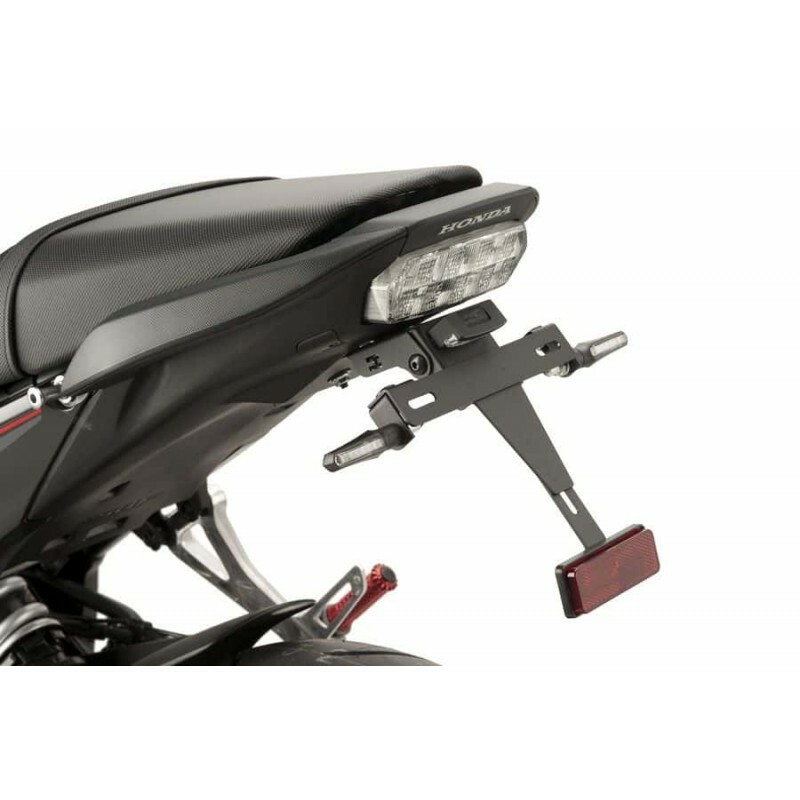 Licence support for CB650F and CBR650F. This product is delivered with the licence light + a reflector support+ a red reflector. 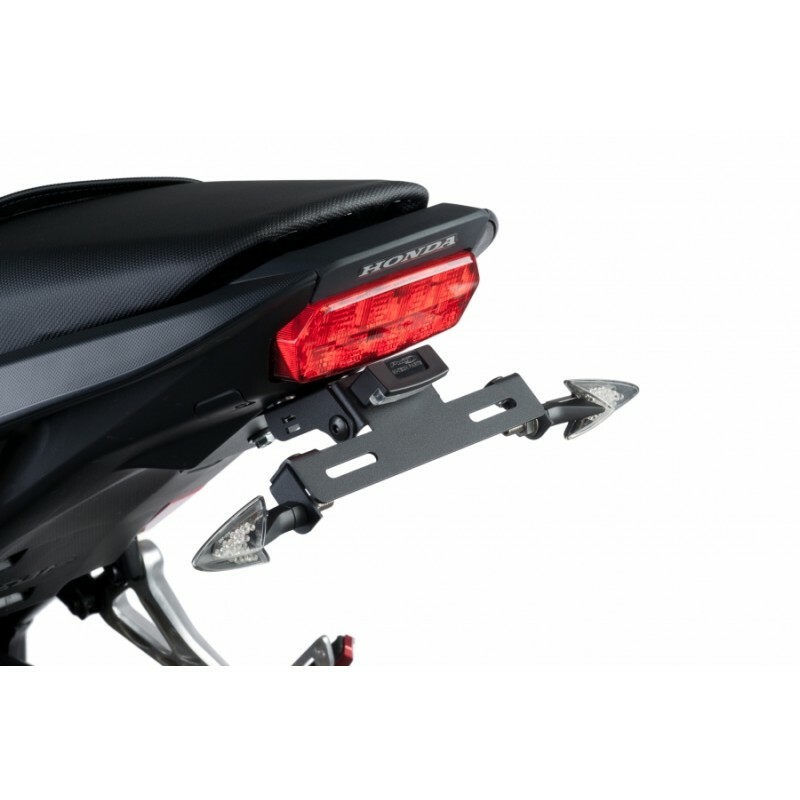 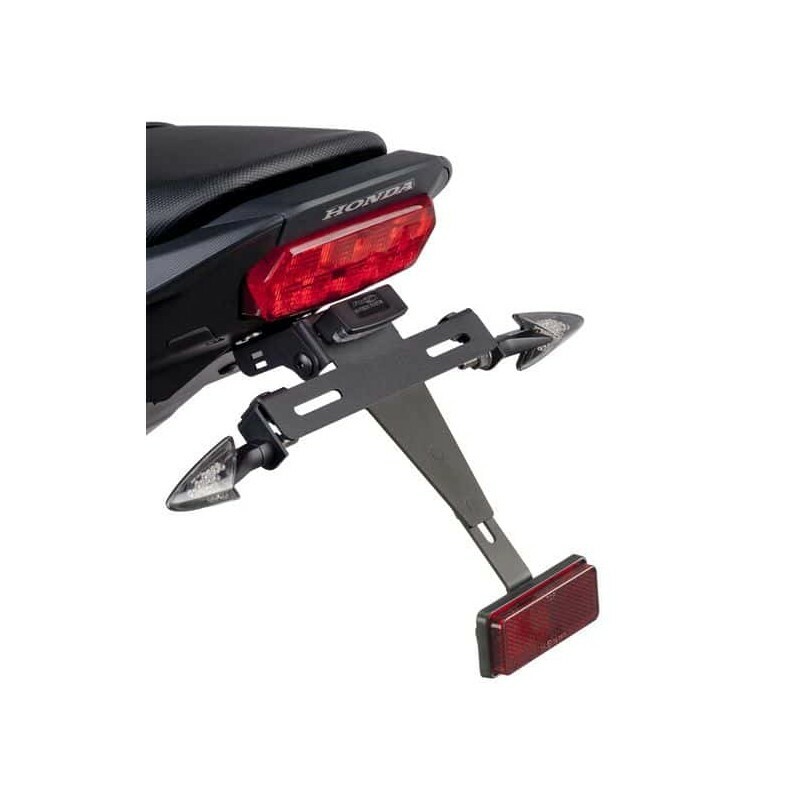 It includes places to put turn signals but beware, these turn signals are not included.